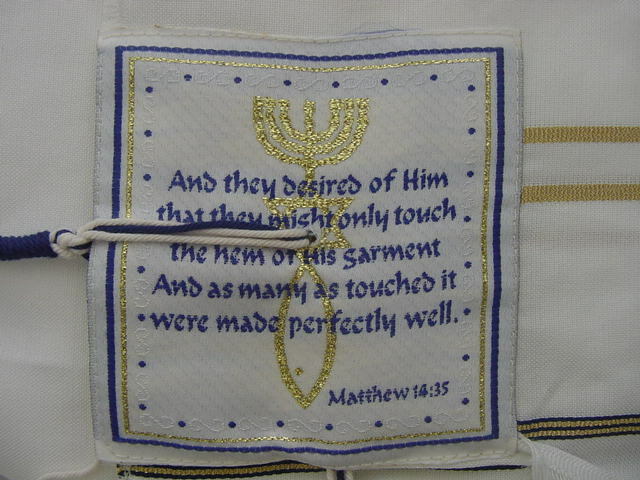 In the book of Numbers, God gives Moses instructions for Israel to add tassels or tzitzit on their garments as a reminder of God’s commandments and their responsibility to fulfill those commandments. 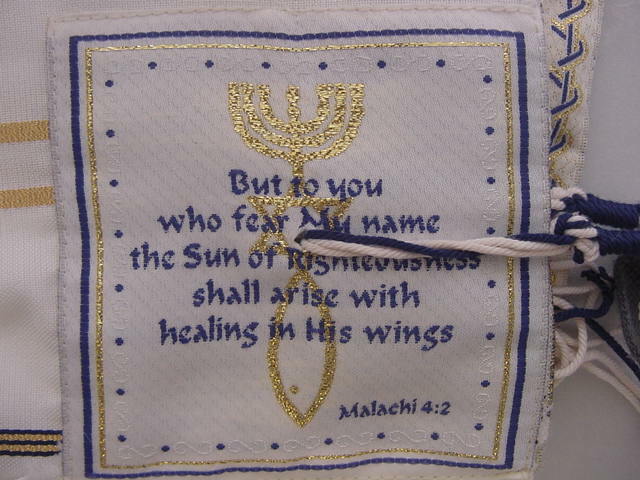 This beautiful prayer shawl will be an inspirational tool in the development of your prayer life. 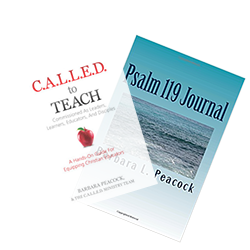 It comes with an explanation of the prayer shawl’s significance, which will make it even more of a spiritual gift for you, your friends or loved ones. 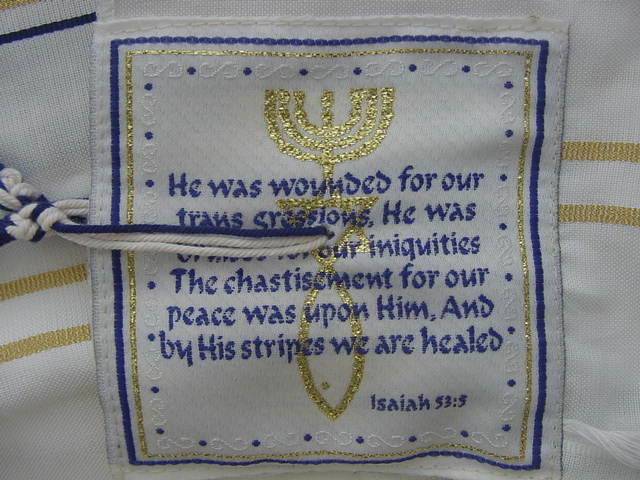 The prayer shawl is made of high quality acrylic (polyester). This prayer is available in two lengths (33 inches wide by 73 inches length and 22 inches wide by 72 inches length). 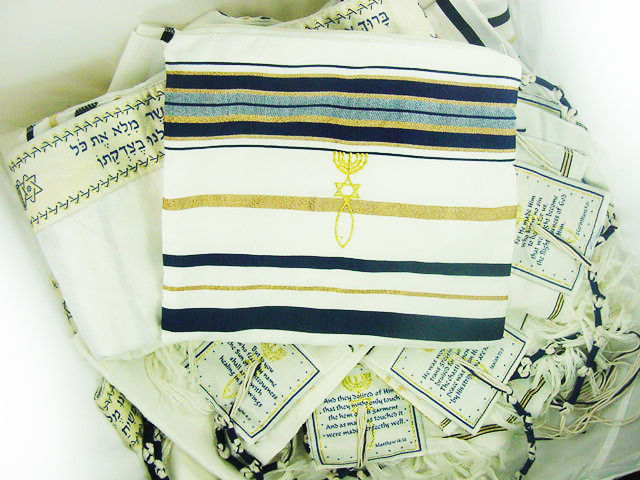 Each prayer shawl includes a colorful decorative and zippered cloth carrying case. 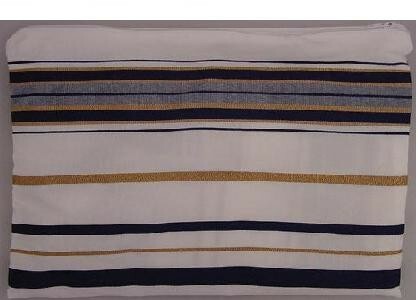 The width of the longer prayer shawl is 33 inches representing the period of time Jesus spent on the earth. 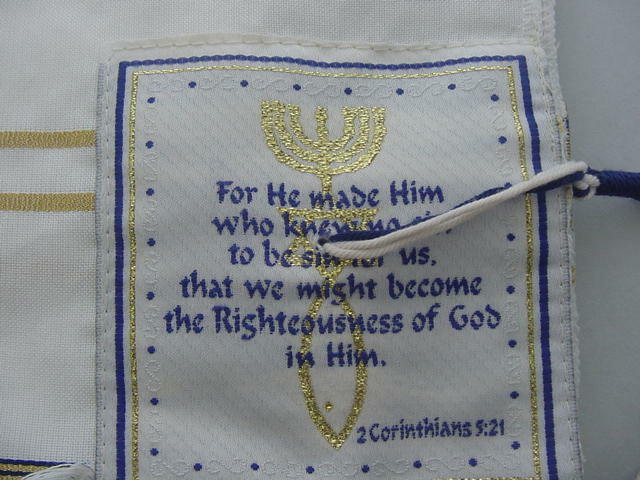 The early Christian sign is on both sides of the main prayer made with Gold thread. The four corners are made with Blue and Gold embroidery , each corner carries a different scripts from the Bible in English and each has the Early Christian sign with Gold thread. 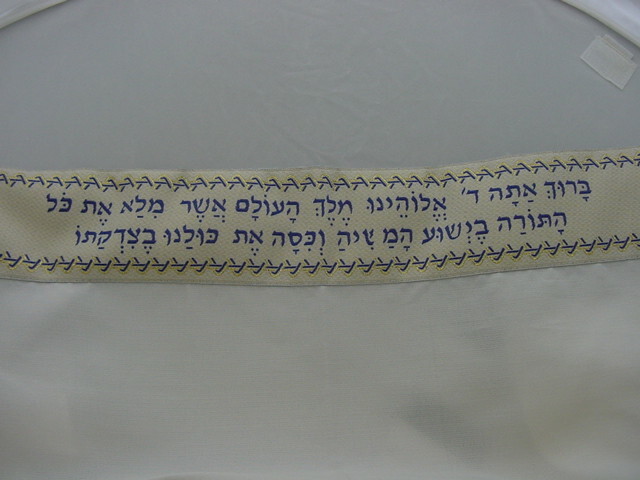 Enlarge the gallery pictures above to read the prayers in English that are on the 4 corners as well as the Hebrew prayer on the Atara (the neckband of the prayer shawl).